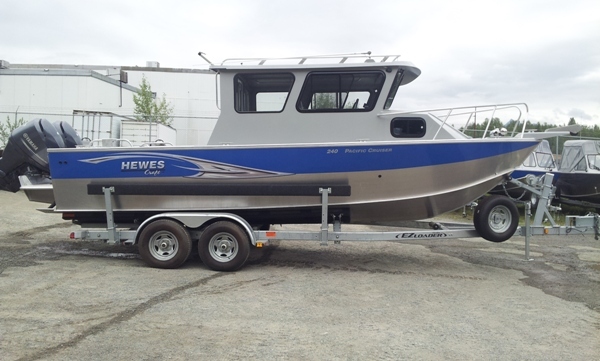 24' Pacific Cruiser w/Dinette Yamaha F115 4-Stroke Spec. EZ Loader Trailer Spec. Beam 102" 111.80CI Weight 1995 lbs.